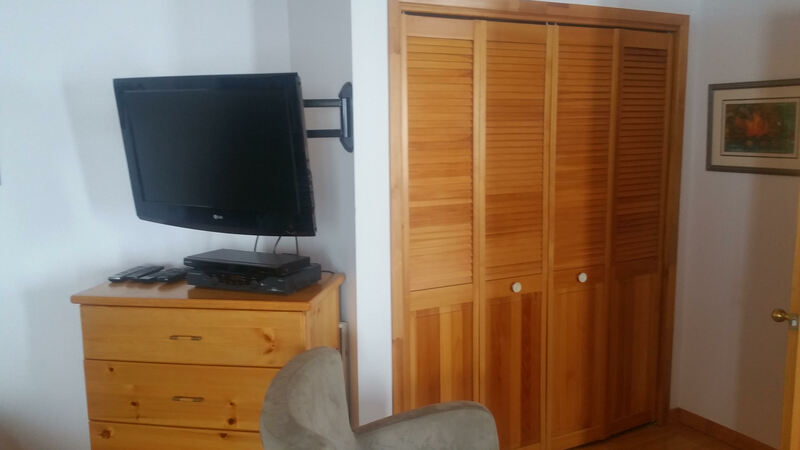 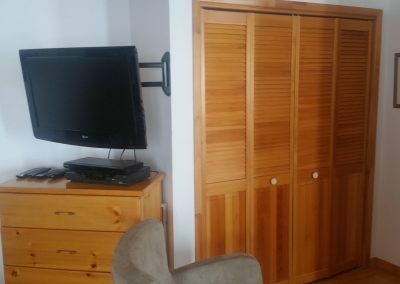 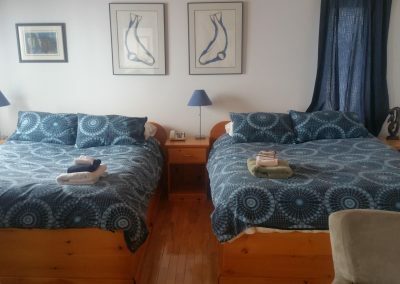 A beautiful spacious, second floor suite with 2 queen beds; full private bathroom and kitchenette (fridge,microwave, toaster, coffee maker); dresser, desk, bookshelf, sofa chairs, cable TV/DVD and phone. 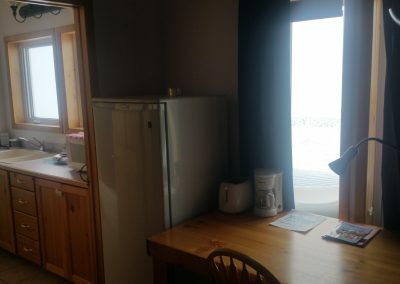 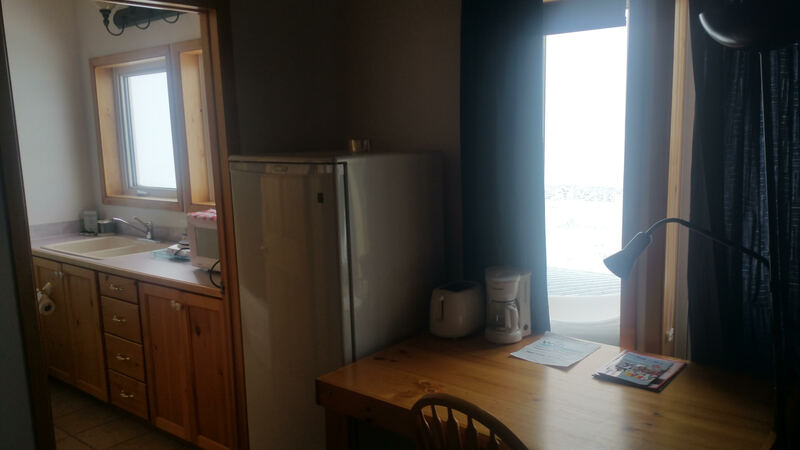 Large windows and the only private balcony in town, offers our panoramic view of Frobisher Bay and perfect spot to watch the Northern Lights. 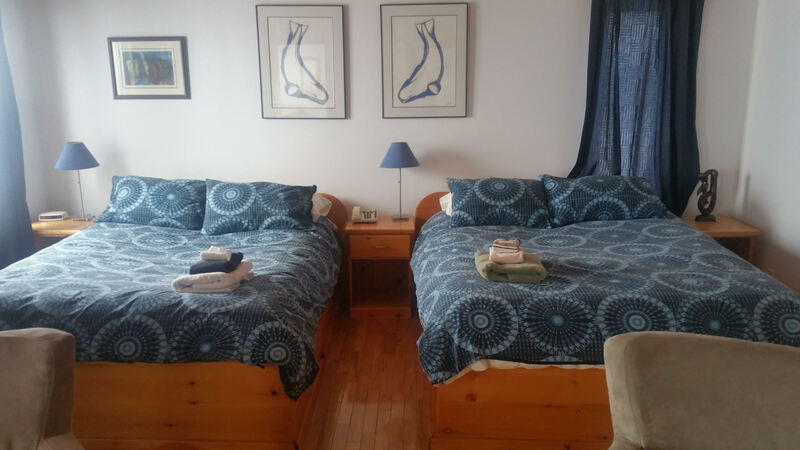 A single bed or cot can be added to this room.